9월 27일에는 뉴욕 브롱크스에 있는 2-4세 장애어린이들의 학교인 Easter Seals Development Center에 유아의 눈높이에 맞춘 교육적이고 재미있는 콘서트 프로그램을가지고 처음으로 다녀왔습니다. 저는 다음 주에는 한국을 나가 11월 1일로 예정 된 서울대학교 어린이 병원과 11월 6일연세대학교 재활병동 아웃리치 공연을 준비합니다. 많은 응원과 관심 부탁드리겠습니다. October rolls around with the cool breeze blowing ever so gently and the warm sun shining. This is the time of year to show appreciation to the people around us. Knowing that we can reach out to hold hands when we feel alone makes us happy. To spread this happiness, EnoB will continue to reach out to isolated individuals in our community. Please support us with your bright smiles and compassionate hearts. I just received a request if you would be able to return for another concert... Staff and children loved it! Thanks!" 9월 27일 오전 10시와 10시 45분, 이노비는 브롱크스 지역에 위치한 이스터 씰즈의 아동발달센터에 찾아가서 두 번의 음악회를 열어주었습니다. 이스터 실즈는 미국 전역의 장애 아동들과 가난한 어린이들을 위해 활동하는 미국의 대표적인 비영리단체 중 하나입니다. 2살~5살 사이의 아이들과 선생님들 150여명이 참석한 가운데 이노비는 클래식 악기로 구성된 새로운 프로그램을 준비해 선보였습니다. 이 프로그램은 아름다운 재단의 후원으로 이루어졌습니다. 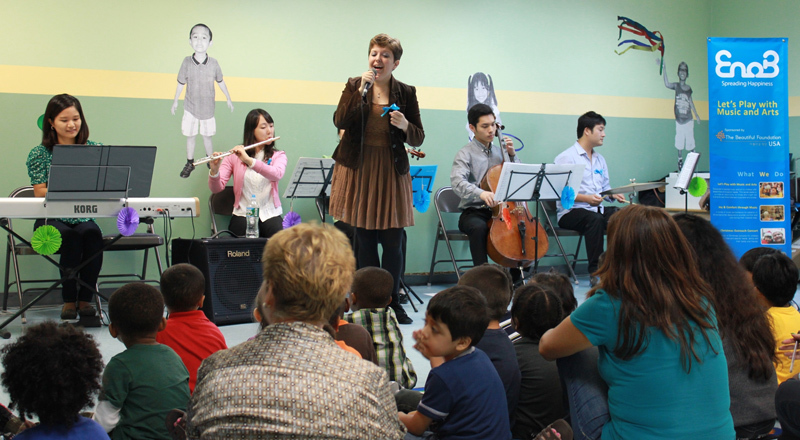 Two outreach concerts were held at Easter Seals Child Development Center on September 27. For nearly 90 years, Easter Seals has been a non-profit organization that helps individuals with disabilities and special needs, as well as their families, to live better lives. EnoB brought its new program tailored for children between the ages of 2~5, and approximately 150 children with special needs and teachers attended and enjoyed the performance. This Program is sponsored by BF USA. 콜롬비아 대학병원 어린이병원 온 감동의 편지를 소개합니다. 지 난 7월이노비는 콜럼비아 대학병원 어린이 병원에서 아웃리치 공연을 가졌습니다. 공연 후 콜럼비아 대학병원 어린이병원에서 편지와 공연을 녹화한 비디오를 보내 주셨습니다. 많은 환자 어린이 들이 건강 상태가 좋지 않아 공연이 있는 1층으로 내려오지 못하고 병실에 있는 TV로 중계되는 영상을 통해 이노비 콘서트를 만났습니다. 혹시나 어린이 환자들이 공연을 충분히 즐기지 못했을까 걱정을 하던 찰나, 병원에서 온 편지를 통해 환자분들 과 그 가족들이 공연을 즐겁게 관람했고, 또 다시 오길 바란다는 소식은 저희에게 큰 힘과 격려가 되었습니다. Last July, EnoB hosted an out-reach concert at Columbia Children's Hospital. 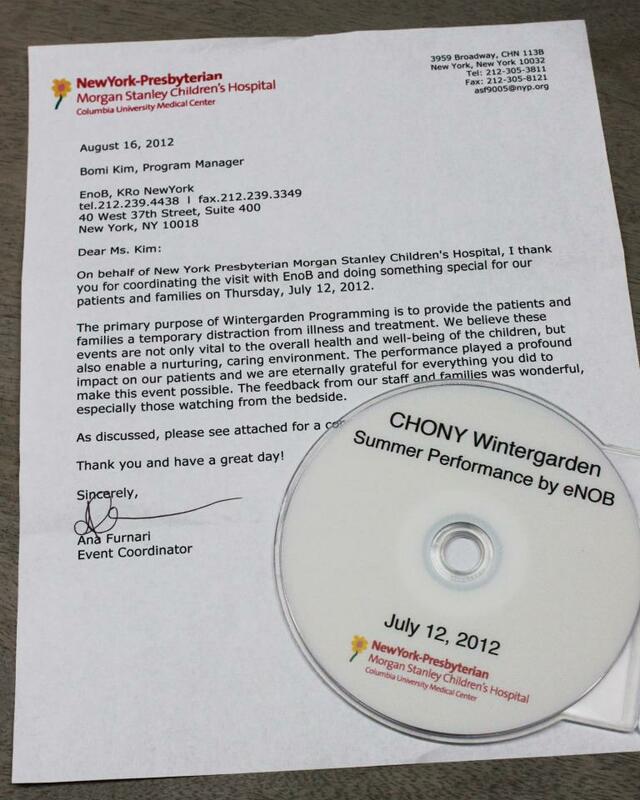 As a sign of appreciation, the hospital sent us a short video of the performance and a letter. Unfortunately, many young patients had to stay in their rooms and watch the performance from TV because of their physical conditions. It worried us that those young children might not be able to fully enjoy the show, but the in the letter, the hospital confirmed to us that the patients and their families showed sincere appreciation for the concert. "We believe these events are not only vital to the overall health and well-being of the children, but also enable a nurturing and caring environment. The performance played a profound impact on tour patients and we are eternally grateful for everything you did to make this event possible. The feedback from our staff and families was wonderful, especially those watching from the bedside." 이노비 오피스를 움직이는 숨은 원동력, 이노비 인턴들을 소개합니다! 디자인 인턴 조한석님은 SUNY에서 광고디자인을 공부하는 학생입니다. 톡톡튀는 아이디어와 훌륭한 디자인 실력으로 이노비 스텝들을 매번 놀라게 만드시는 멋진 디자이너 입니다. 다음학기 NYU대학원 진학을 앞두고 이노비의 인턴으로 함께 일하게 된 서복민님은 PR관련된 업무를 담당하여 넘치는 열정으로 이노비를 위해 일하고 있답니다. 노주영님은 이번 가을 인테리어 디자인 전공으로 코넬 대학교를 졸업하였습니다. 디자인과 번역과 사진촬영 등 못하는 것이 없는 만능재주꾼 주영님의 활약을 기대하겠습니다. 고재현님은 현재 NYU에서 Sports Management를 전공중인 학생입니다. 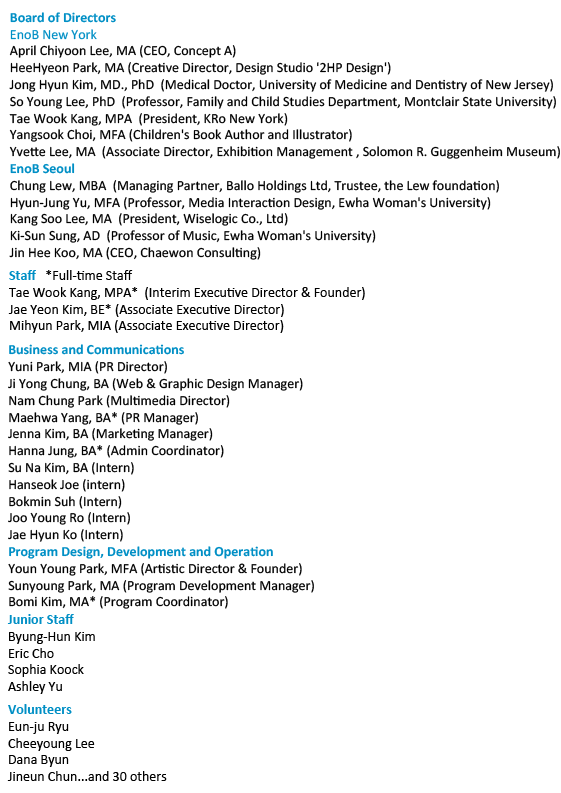 이노비의 Admin인턴으로서 이노비 사무실이 원활하게 돌아갈 수 있도록 많은 역할을 맡아주고 있습니다. 이번 가을을 함께 보낼 이노비의 새로운 인턴분들을 너무 환영하구요, 앞으로의 멋진 활약상을 기대하겠습니다! 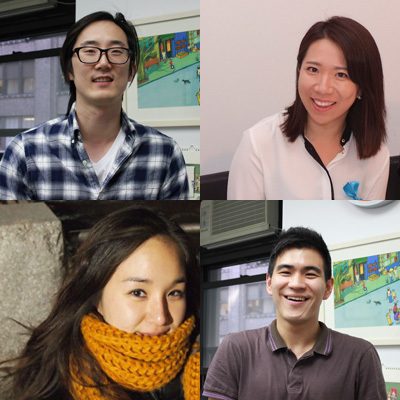 EnoB is excited to introduce our Interns! Han Seok Joe is our Design Intern, who currently studies Commercial Arts at SUNY. He is a brilliant designer with fresh, creative ideas that always surprise and inspire our EnoB staff. 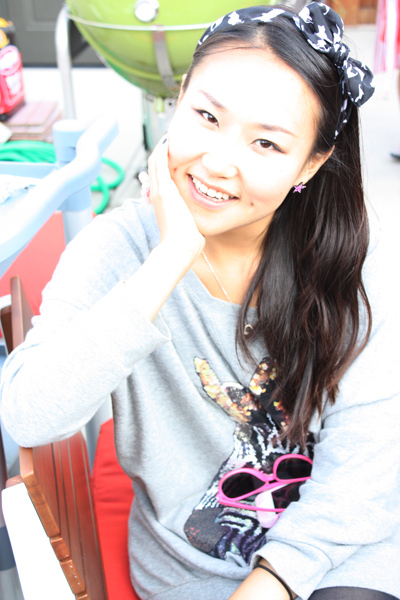 Bokmin Suh is our PR Intern, who will be attending NYU graduate school next semester. Her positive energy and passion for EnoB keep our staff engaged and motivated at all times. Joo Young Ro is a recent graduate from Cornell University with major in Interior Design and minor in Architecture. She is a versatile designer with great abilities, including translation, photography and more-we're looking forward to seeing how she brings her creative perspective to EnoB. 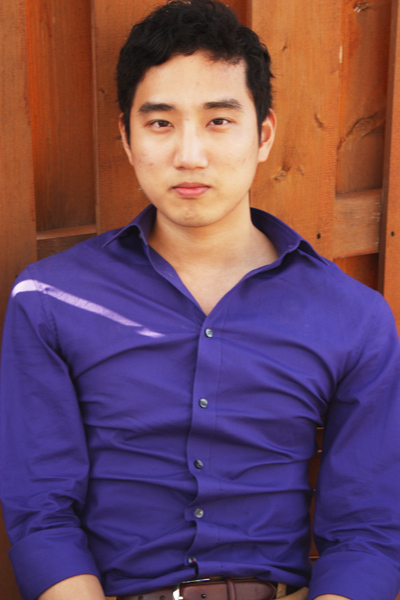 JaeHyun Ko has joined our team as an Admin Intern. Currently studying Sports Management at NYU, JaeHyun takes on many important roles in EnoB office to ensure that everything runs smoothly. EnoB is proud to welcome our new brilliant interns for this fall, and we're looking forward to seeing all of them shine! 꾸준히 EnoB 번역 일을 도맡아 도움을 주고 계시는 전시덕(Peter Chun) 님은 지난 9월 8일 베네핏 콘서트에도 발룬티어로 참여하였습니다. 버지니아 대학에서 경제학과 사회학을 공부했고, 현재 교육 관련 일에 종사하고 있는 전시덕님은 인터뷰 중 베네핏 콘서트에서 만난 또래 발룬티어들과의 교류를 통해 진정한 나눔과 봉사의 기쁨을 누릴 수 있었다고 합니다. On September 8th, EnoB celebrated its benefit concert-High Cool at the High Line. The concert hall was filled with excitement from not only the big audiences, but young volunteers as well. During the concert, volunteers participated and showed deep passion. One of the volunteers, Peter Chun, who majored in Economics and Sociology at the University of Virginia and currently engages in the educational field, has often helped to do translations for EnoB. He said that he was glad to interact with other volunteers in similar age group and surprised by their enthusiastic attitude toward volunteer activities. 베 네핏 콘서트의 준비 작업과 안내를 맡으셨던 이세나 님은 이노비의 수준 높은 공연에 놀랐다고 하셨습니다. AMDA에서 뮤지컬을 전공하는 이세나 님은 음악으로 마음의 위로를 줄 수 있다는 이노비의 생각에 공감하며, 다음 번 봉사활동에도 참여하고 싶으시다고 합니다. Another volunteer, Sena Lee joined in the group work of guiding guests and reception management. She is attending American Musical and Dramatic Academy in New York (AMDA) with a dream of becoming a popular musical actress on Broadway stage. During an interview with her, she expressed her strong belief that "volunteering will make people happier and healthier" and promise to continue volunteering at EnoB. 10월 9일 오후 2시 30분, 이노비는 맨하탄 79가에 위치한 드윗 널싱 센터에 찾아가 삶의 마지막 단계에 접어드신 어르신 분들께 찾아가 질 높은 음악회를 열어드릴 예정입니다. 이 공연은 소프라노 이정은, 바이올리니스트 주디 강을 포함한 4명의 연주자 분들의 재능 기부로 이루어집니다. On October 9th, EnoB will hold a beautiful concert for the seniors living in DeWitt Rehabilitation and Nursing Center located in Manhattan on 79th Street. Four musicians, including Soprano Jungeun Lee and violinist Judy Kang, will perform famous pieces written by various composers. We hope that the concert can help soothe and lessen the isolation and the loneliness of the audience. 지 난 7월에 이어 오는 10월 25일 오후 2시, 이노비는 콜롬비아 대학병원 어린이 병동에 다시 한 번 찾아가 아웃리치 콘서트를 열기로 했습니다. 뮤직 디렉터 서혜선을 필두로 한 이노비의 뮤지컬 공연 팀은 각 병실에 설치된 스크린을 통해150여명의 입원 중인 어린이 환자들에게 즐거움을 선물할 것입니다. EnoB's second outreach concert at the New York-Presbyterian Morgan Stanley Children's Hospital, Columbia University Medical Center will be held at 2pm on October 25. About 150 pediatric inpatients will have a chance to enjoy the performance up front and through the screens facilitated in their rooms. 이노비가 서울대학교 의과대학의 어린이 병원으로 찾아갑니다. 투병중에 입원해있는 아이들에게 웃음을 찾아주기위해 마련된 11월 1일, 이노비의 서울대학병원에서의 첫번째 아웃리치 콘서트에 많은 관심과 기대 바랍니다. Outreach Concert for Children in Hospital @ Seoul National University children's Hospital On November 1st at 4pm, EnoB will hold its first outreach concert for children at Seoul National University Children's Hospital. 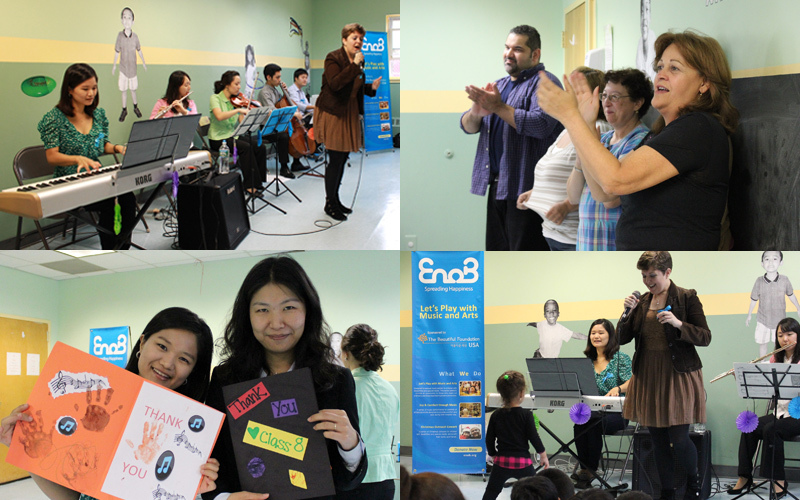 EnoB is looking forward to spreading happiness to children through the concert. 이노비가 오랫동안 추진해오던 연세대학교 세브란스 재활병원에서의 아웃리치 콘서트가 11월 6일로 정해졌습니다. 재활병원에 입원해있는 환자와 가족을 위한 콘서트를 위해 마음을 담아 준비하겠습니다. Save the date! EnoB's outreach concert for Yonsei Severance Hospital will be held on November 6th. EnoB will prepare the concert for the patients and their families with our sincere heart. 아래 날짜를 클릭하시면 이노비의 기사를 보실 수 있습니다. Click the date to view the news articles & Media covers on EnoB. 때는 바야흐로 가을입니다! 그리하여, 가을을 맞이해 찾아온 이노비의 가을로고 - Autumn 2012! 뉴욕의 가을을 주제로 완성된 이번 로고는 디자이너 정재경 님께서 재능 기부로 참여해 주셨습니다. 이노비 가을 로고와 함께 아름다운 뉴욕의 가을에 흠뻑 취해보세요! and designer Jaekyung Jung shared her talent and designed it for EnoB. 이노비에서는 동화작가 겸 삽화가 최양숙 작가님께서 기증하신 일러스트 원화를 판매하고 있습니다. 그림 판매 수익의 50%는 이노비에, 나머지 50%는 고아원에 기부됩니다. 동심을 불러일으키는 예쁜 그림을 소장하시고 사랑도 나누세요! 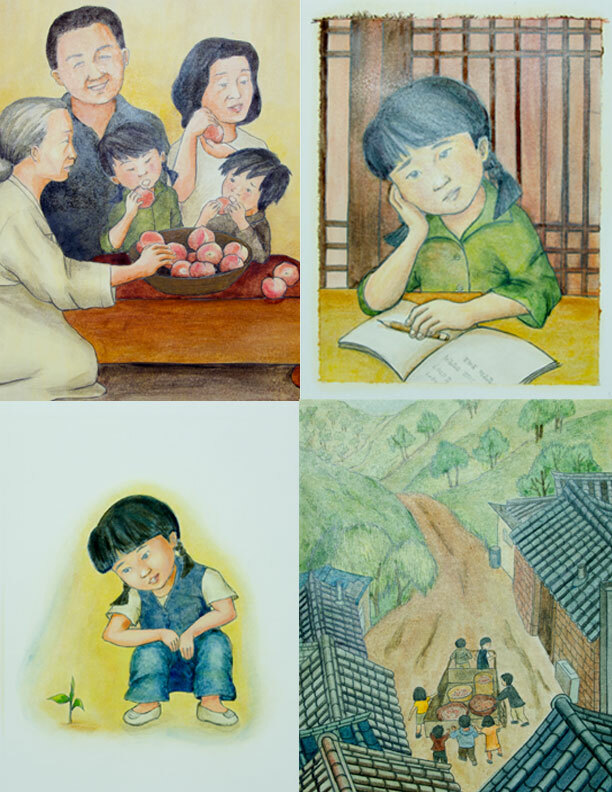 EnoB is selling author and artist Yangsook Choi's original illustrations that she donated to EnoB. Upon purchase, half of the profit will benefit EnoB and the other half will be donated to the children who live in orphanage. It's a chance for you to own beautiful paintings and share your love at the same time. 최양숙 작가님의 책 <Peach Heaven>과 삽화를 소개합니다. 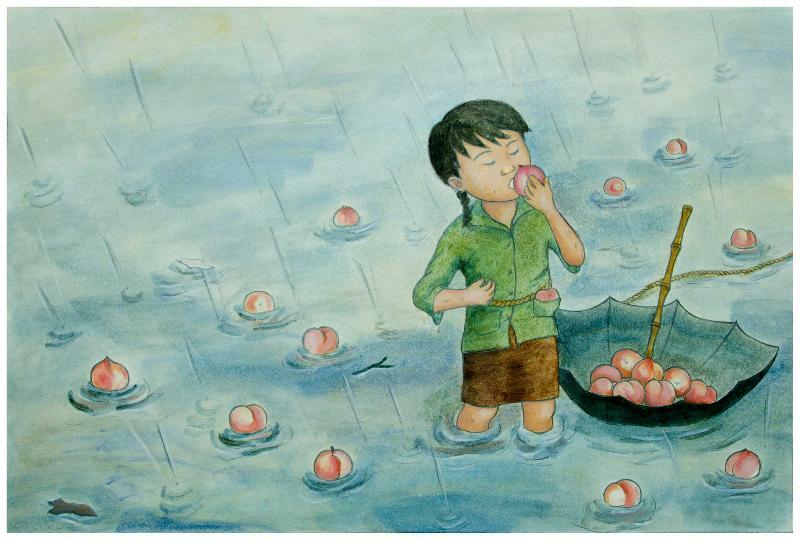 We introduce Ms.Choi's book <Peach Heaven> and its illustrations which EnoB has. 부천에서 재배된 흰색 복숭아(백도)는 한국 최고인데, 그 마을의 한 어린 소녀 양숙이는 작은 양의 복숭아를 재배하고 있었어요. 소녀는 자기의 복숭아 과수원에서 실컷 뛰놀고 마음껏 복숭아를 먹고 싶었어요. 어느 날, 엄청난 강우가 쏟아져 내린 몇 주 후에 하늘에서 복숭아 비가 내려오기 시작했어요! 양숙이는 자기만의 복숭아 천국을 찾았지요. 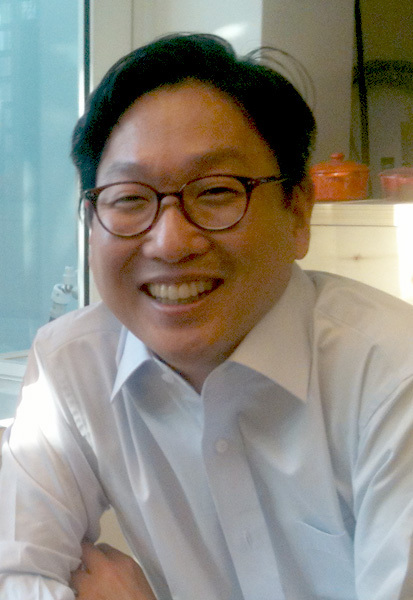 하지만, 강우에 의해 수확물을 모두 잃어버린 다른 농민들을 기억하고 그들을 돕기로 결심합니다. Story: The white peaches grown in Puchon are the best in all South Korea, and a rare treat for a little girl who lives in the town. She dreams of a peach orchard where she can play and eat as much of the delicious fruit as she wishes. Then one day, after weeks of heavy downpours, the sky begins to rain peaches. Yangsook finds herself in peach heaven - until she remembers the farmers who have lost their harvest, and decides she must help them. * 최양숙 작가: 아동동화 작가&삽화가이자 이노비의 이사로 활동하고 계시며, 1997년 첫 동화 '해님 달님(The Sun Girl and the Moon Boy)'을 펴내면서 미국에서 동화 작가로 데뷔, 현재까지 총 12종의 책을 펴냈습니다. 1997년 Publishers Weekly '가장 뛰어난 동화 아티스트' 중 한 명으로 선정되었고, 한국에서 한글 번역본이 출간되기도 한 '내 이름이 담긴 병(The Name Jar)'은 시카고 공립도서관이 선정한 최우수도서로 뽑히며 5만권이 팔린바 있습니다. * Ms. Yangsook Choi is a children's book author and illustrator. Her first children's book in English was 'The Sun Girl and the Moon Boy,' published in 1997. She was lauded as one of the 'best children's book artists' by Publisher's Weekly. To date, she has authored and illustrated twelve other children's books. Her book 'The Name Jar,' published in both English and Korean, has sold 50,000 copies and was proclaimed by the Chicago Public Library as one of the best children's books. 지난 9월 26일 올해 창립 6 주년을 맞이한 New Bank에서 EnoB에 후원금을 전달했습니다. 후원에 깊은 감사를 드립니다. 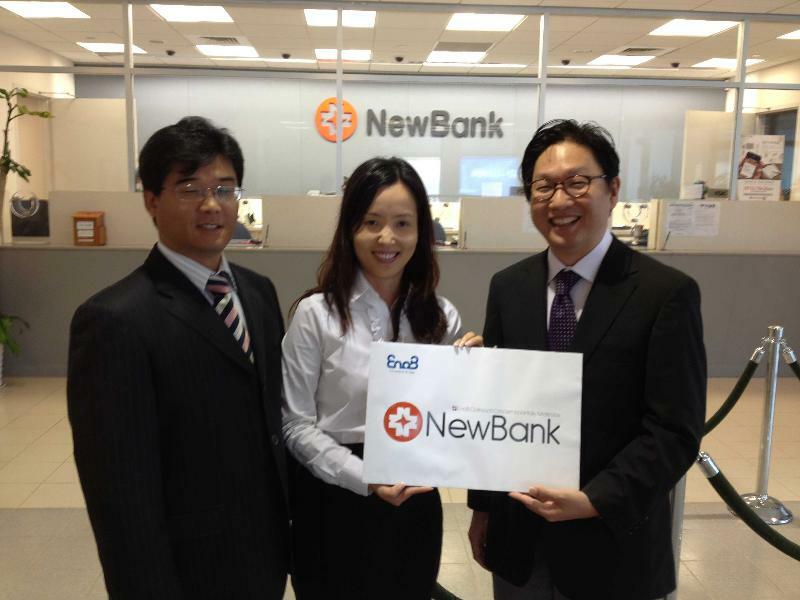 On September 26th, New Bank, celebrating its 6th anniversary, presented a donation to EnoB. Thank you for supporting EnoB. [EnoB RESTROOM SIGN] 이노비 로고를 이용한 예쁜 restroom 표지판을 나누어 드립니다. 화장실 앞에 붙여두시고 가실 때마다 행복을 나누는 이노비를 한번씩 생각해주세요! :) 더 높은 해상도의 이미지를 원하실 경우 이메일 주소를 enobinc@gmail.com으로 알려주세요! We are sharing EnoB Restroom sign which comes from EnoB Logo. Please hang it up on your restroom's door to remember EnoB :) If you want the high resolution image, please let us know your e-mail address. 이노비언들의 웃는 얼굴이 담긴 EnoB Smile Block을 만들고 있습니다. 여러분의 행복한 모습을 담아 더 많은 소외된 분들에게 나누고자하는 이노비의 마음이 담겼습니다. 이노비언 여러분의 활짝 웃는 사진을 보내주세요. 여러분의 웃는 얼굴이 쌓일때마다 이세상에 나눠지는 행복이 조금 더 많아질 것이라고 저희는 믿습니다! 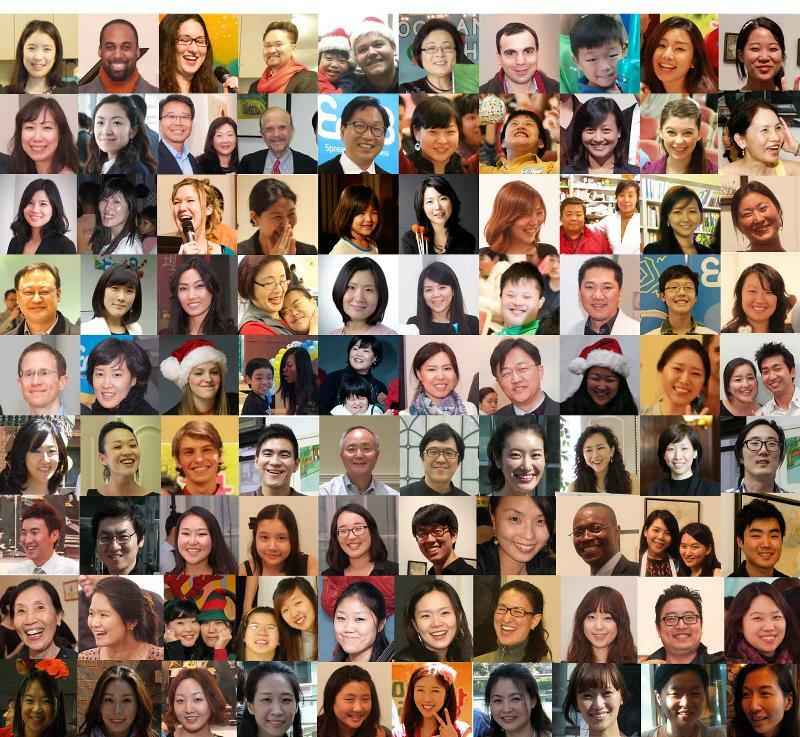 We are making 'the EnoBian Face Block' which are made of EnoBians' Picture with smiling faces. Send your pictures to happiness@enob.org, we believe that your happiness will be spread to others in the world! 아래 이미지를 클릭하시면 이노비 홈페이지에서 지난호 이노진을 보실 수 있습니다. 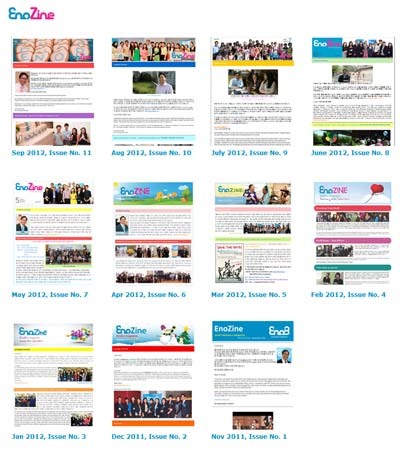 Click the image below to view the last issues of EnoZine & our website. EnoB I Innovative Bridge Spreading Happiness!